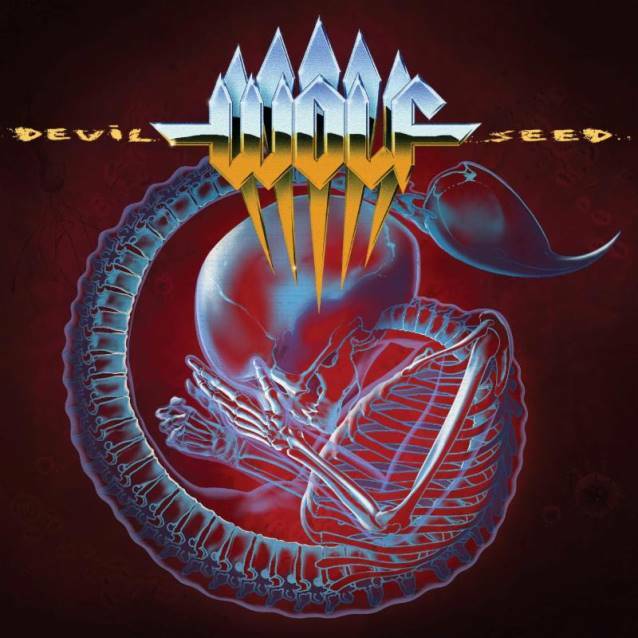 Swedish metallers WOLF will release their seventh studio album, "Devil Seed", on August 25 in Europe and on September 2 in North America via Century Media. This time around, the wolves teamed up with Jens Bogren (KREATOR, PARADISE LOST, OPETH) at Fascination Street Studios in Örebro, Sweden to deliver not only a heavy-sounding release but also one chock-full of clarity and complexity. With cover artwork created once again by legendary designer Thomas Holm (MERCYFUL FATE, KING DIAMOND), all the elements are aligned for this fierce slab of pure heavy metal mayhem. 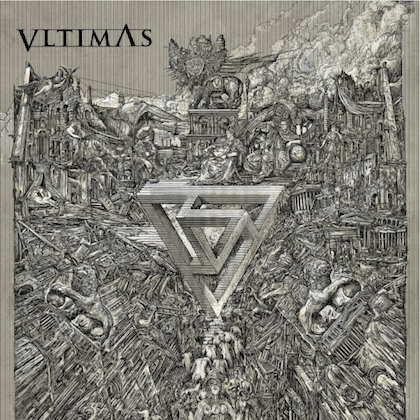 Comments WOLF guitarist Simon Johansson: "WOLF is back and once again we have worked with the amazing Thomas Holm for the album art. Thomas has a way of catching the feeling of an album and to put colors to our music. This time Niklas Stålvind also contributed to some drawings found in the booklet and the collaboration between the two of them turned out great. "'Devil Seed' starts as an embryo and when you least aspect it you find yourself dancing with the Devil." The lyric video for the song "My Demon" can be seen below. Comments WOLF founding member Niklas Stalvind: "Please enjoy 'My Demon', the first taste of the 'Devil Seed'. Spread it, share it and play it loud! Watch out for the whole album in August." Fans will be pleased to hear that WOLF is not only still true to its musical ideal, but delivers a fresh and unique take on the sound that is their unmistakable trademark. "I haven't been this pleased with the songs on a WOLF album since the release of 'Black Wings'," says Niklas Stalvind. "I really think we have taking our songwriting to the next level on this one and I hope that the metal fans will love it as much as we do." A short time after the new album's release, WOLF will take to the streets with a tour of the U.K., with further European dates to be announced soon. WOLF in 2011 parted ways with guitarist Johannes "Axeman" Losbäck and replaced him with Simon Johansson (ABSTRAKT ALGEBRA, BIBLEBLACK, MEMORY GARDEN). Simon previously played with WOLF in 2009 when they supported W.A.S.P. for four shows. 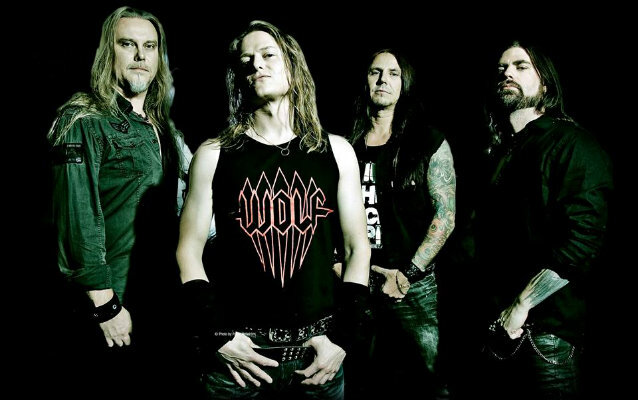 WOLF's sixth album, "Legions Of Bastards", was released in April 2011 via Century Media Records. 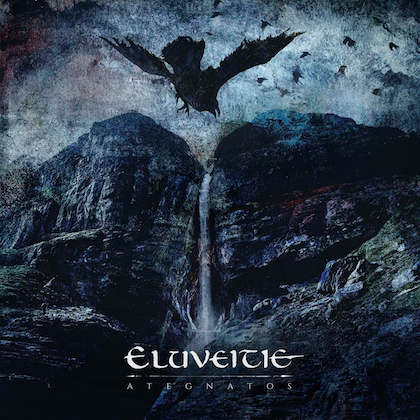 The follow-up to 2009's "Ravenous" was produced by Pelle Saether at Studio Underground in Vasterås, Sweden. 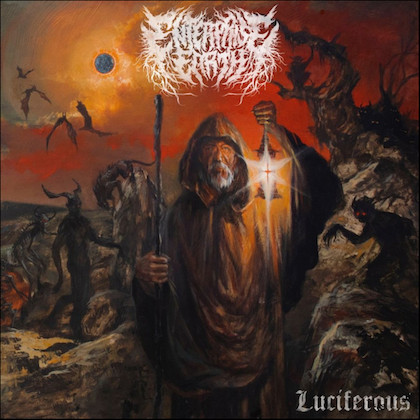 The cover artwork was once again created by Thomas Holm (the man who was responsible for the legendary MERCYFUL FATE "Melissa" and "Don't Break The Oath" covers).